Within an automotive manufacturing facility, Allen-Bailey Tag & Label products are most commonly used to identify the different parts of the vehicle prior to assembly. 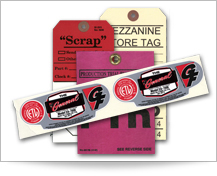 For quality control purposes, our custom tags identify acceptable and non-acceptable components. Each factory has its own way of identifying products within its facility. For example, Harley-Davidson uses a single tag to identify non-conforming materials found during the assembly process that do not comply with the size, style or quality of component to be built into their motorcycles. 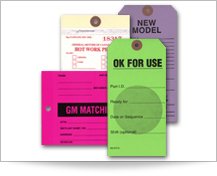 Key tags are a prevalent product used in the automotive after-market. They are most commonly packaged with metal rings and sold to automotive dealerships, used-car lots, and service centers. Similarly, these facilities often use remanufactured automotive parts and assemblies – excellent prospects for automotive ID tags and labels. The below styles and applications of tags apply not only to the passenger car and truck market, but also to recreational vehicles, such as ATVs, and farm equipment or machinery. 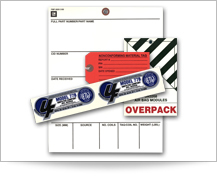 We manufacture custom tags and labels to meet your needs within the automotive industry.